Betelgeuse is one of the brighter stars in the sky, prominently visible as part of the constellation Orion. This is because it’s both relatively close to Earth (about 600 light-years away) and very large — if you put it in the center of our Solar System, it would reach out to Jupiter’s orbit. It’s also the subject of rumors that go around periodically, stating that it will go supernova any day and (depending on the source) destroy Earth, or at least be as bright as the Sun in the sky. Phil Plait has written extensively about it (part 1 and part 2), so I’m not going to repeat what he’s already written. Instead, I was musing about something that on the surface seems obvious, but sometimes is a source of miscommunication between astronomers (and their cousins, cosmologists) and nonscientists–the word “soon”. The time scales involved in astronomy are often very large: we’ll casually refer to things that take millions of years as being “fast”, because in cosmic terms that is fast. 1,000,000 years may look large, but it’s less than 1% of 1% of the age of the universe, which is 13.7 billion years old — 13,700,000,000 years is a large number indeed. 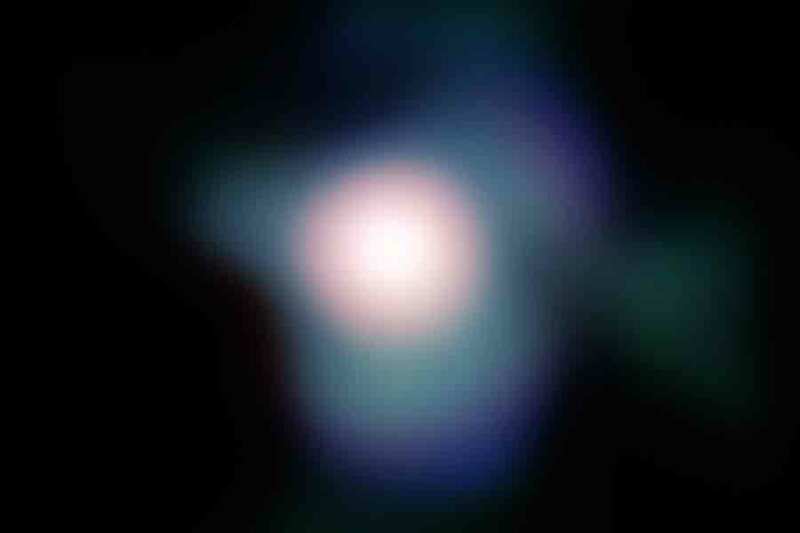 Betelgeuse will probably go supernova at some point in the near future — in cosmic terms. This means that it may have already exploded, it might go tomorrow, or it might be 100,000 years from now. If it explodes today, we won’t know about it for about 600 years anyway, which complicates the “when?” question even more. Suffice it to say that in astronomy, the long view is a practical necessity; prediction, which is always a slippery notion, is even more complicated when dealing with when a particular event in the life of a star may occur. However, I think I stand with most astronomers when I say I sincerely hope Betelgeuse does go supernova soon: it’s too far to hurt us, and the sheer amount that we’ll learn from its explosion will keep scientists busy for years to come.